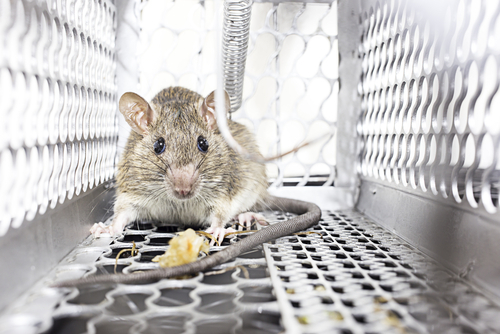 If you’ve noticed signs of rat activity in your home like scratching in the walls or ceiling, foul odors, or droppings; it may be time to call a rat exterminator. It’s critical to take action at the first sign of an issue in order to protect your home and family. Waiting to contact an exterminator allows more time for the offending rats to multiply and spread waste throughout your home, putting you in danger. The experts at Critter Control® of Dallas can work with you to determine what needs to be done. While we safely relocate wild animals whenever possible, the situation can sometimes call for a different method. Because rats multiply at such an alarming rate, sometimes extermination is the best option to ensure that your problem is completely taken care of. A major infestation may make it impossible to capture and relocate the rats. However, our Eco-Wise pest management options help keep your home rodent-free in the future, while staying environmentally conscious. Don’t wait any longer to call our rat exterminators if you have a problem. Your safety and satisfaction are our number one priorities, which is why we urge you to call right away before your infestation gets worse. Call Critter Control® of Dallas today at 817-222-1101 with any questions, or to set up your free home estimate.